There’s a lot of me in my dolls, of course. But there’s also of my whole family: my parents, my son and my husband. This new collection exists only thanks to their most precious help. 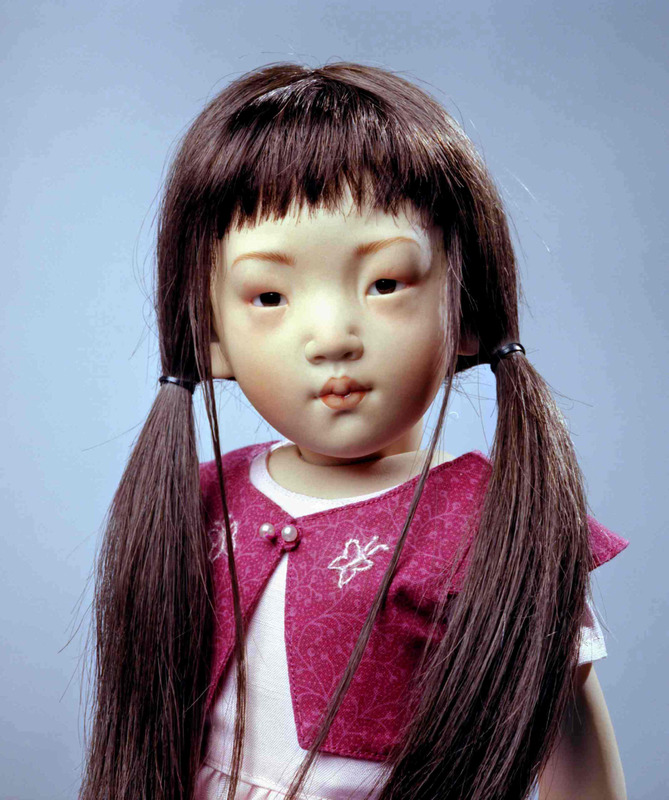 The creation of this Oriental child doll, named “Junko”, requires no less than five firings. She’s all bisque, fully jointed with dark long brown human hair wig and brown glass eyes. The precious pure silk pink shantung has been selected for her dress adorned with a pure cotton dark red bolero with two hand embroidered butterflies, as well as the little hand embroidered red bag. Her special red sandals are in real leather and designed by the artist. A wooden stand is included. 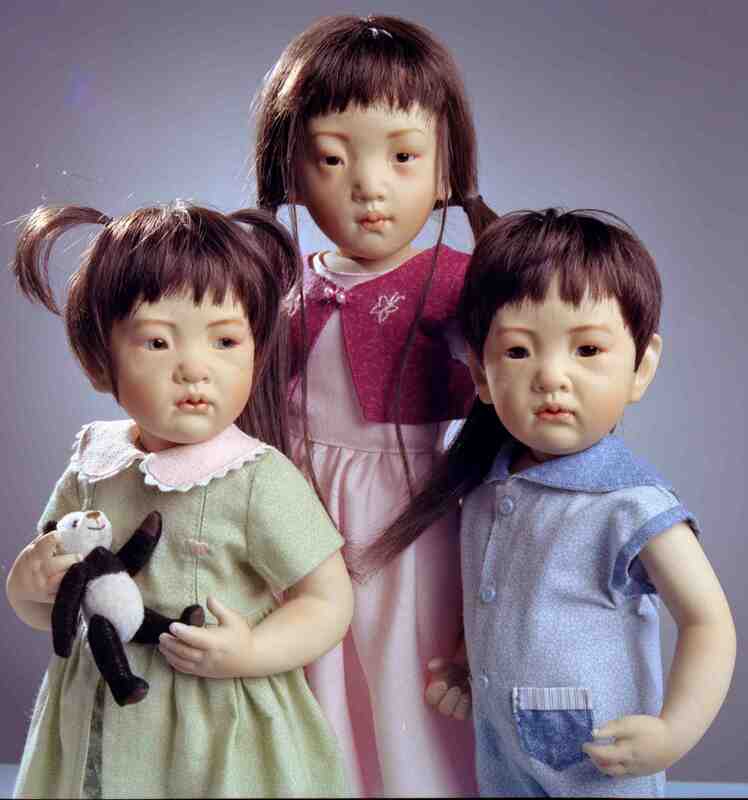 The creation of this Oriental child doll, named “Saori”, requires no less than five firings. She’s all bisque, fully jointed with dark brown human hair wig and light green medical glass eyes. Her light green and pink dress is made of pure cotton, as well as the flowery underclothes, and it is hand embroidered with 3 little hearts. Her special pink shoes are in real leather and designed by the artist. A little fully jointed panda bear accompanies her. 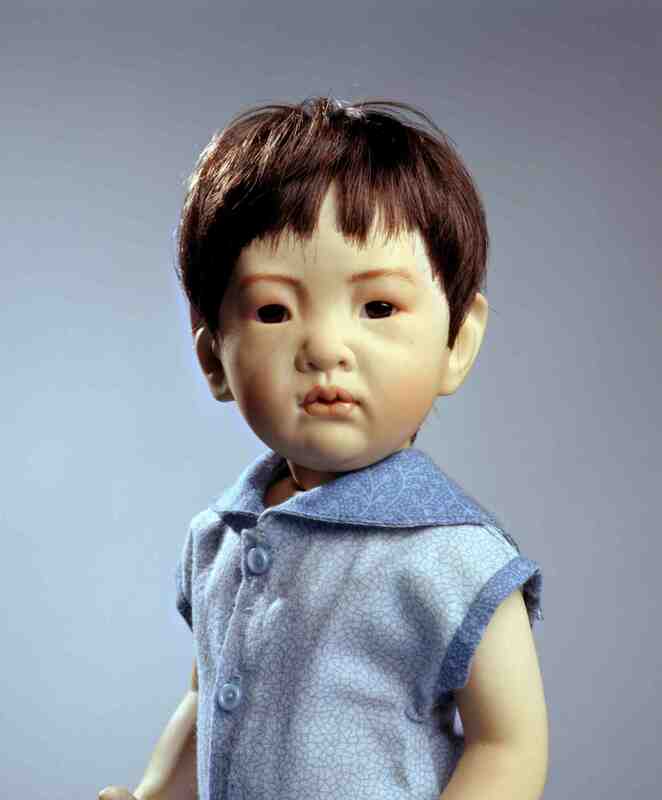 The creation of this Oriental boy doll, named “Taro”, required no less than five firings. He’s all bisque, fully jointed with dark brown human hair wig and brown glass eyes. His light blue overalls is made in pure cotton. His special blue sandals are in real leather and designed by the artist. A handmade paper kite accompanies him.